2.5-second High-speed Measurement, 20 lux Minimum Brightness, Inverted Staff Recognition, Wave-and-Read, and the Highest Accuracy in its Class. Aim, focus, and press a key. Height and distance are simultaneously measured in 2.5 seconds, 20 percent faster than ordinary digital levels. 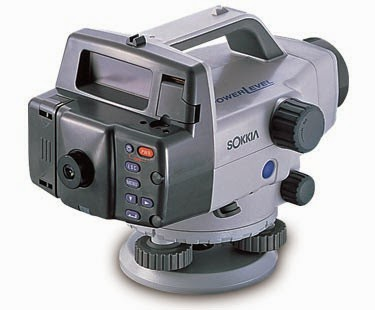 The SDL30/50 provides the superior measurement capability under a variety of environmental conditions. Even when the staff surface is partially shaded, or in dim lighting conditions where the brightness at staff surface is as low as 20 lux*, the SDL30/50 consistently provides reliable measurement results without downtime. A small flashlight is enough to illuminate the staff in the dark. * 20 lux is defined as the minimum brightness with which human face can be recognized. The SDL30/50 automatically recognizes directions of RAB-Code staffs and displays the results with a minus sign (-) when the staff is inverted. Height of ceiling, overpass, bridge, road sign, tree branch, tunnel crown, and other objects can be easily measured without a calculator. The innovative “Wave-and-Read” technology provides an additional survey style option. The SDL30/50 tracks the RAB-Code staff waved back and forth to read the correct height. The staff reading becomes the minimum when it is in vertical position. The SDL30/50 automatically detects the least value of staff readings. Choose the digital level and staffs according to the accuracy* you need. Sokkia offers the top-of-the-line SDL1X model for higher accuracy of up to 0.2mm. Up to 2,000 measurement data of elevation or height difference can be recorded in the internal memory. Auto mode records data as soon as the measurement is taken, while manual mode allows you to check the measurement results before recording. Stored data can be exported using the “Spectrum Link” software.